The procession of Borriquito is one of the most characteristic Bilbao Easter, being the day and involved a large number of children. 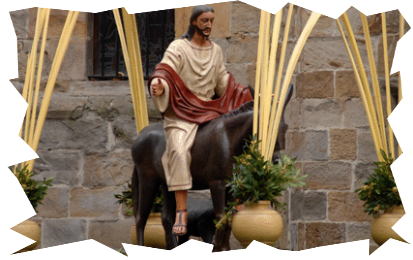 Originally only part of the way, the donkey carrying Jesus. Then the colt was added and a child.